Create a "New Thread" named: Application [your playername on the server]. Copy/Paste the application layout and fill in. 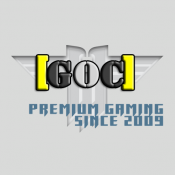 - Reference (if available): Forexample: ("Playername") suggested to join GoC. - Are you able to pay at least 3 Euro/month for server dues? - Why do we need to accept you in the clan?